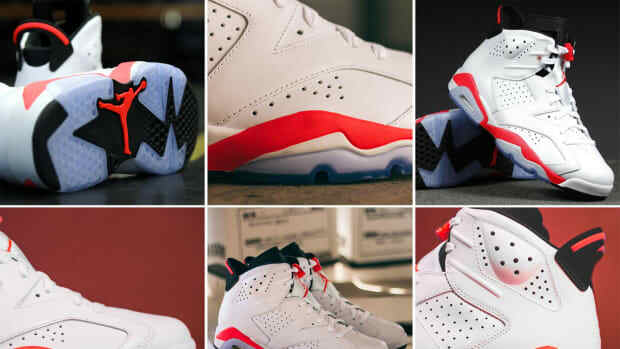 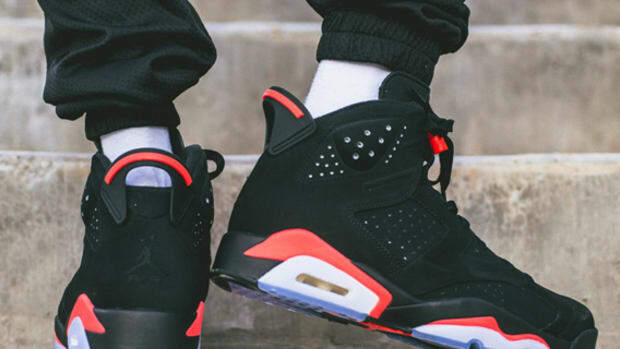 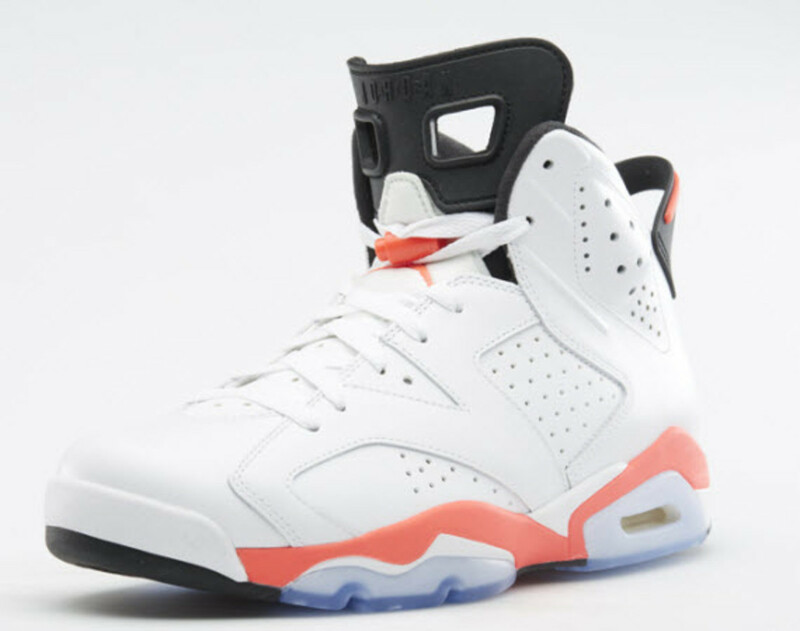 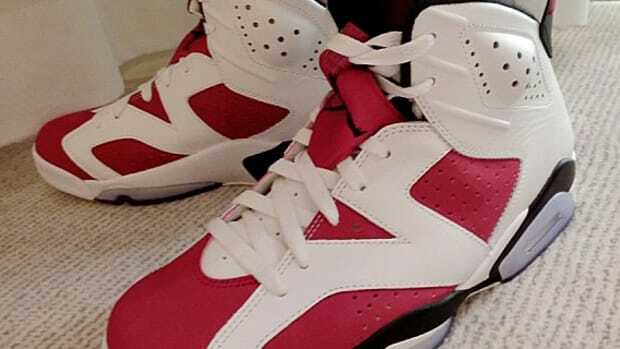 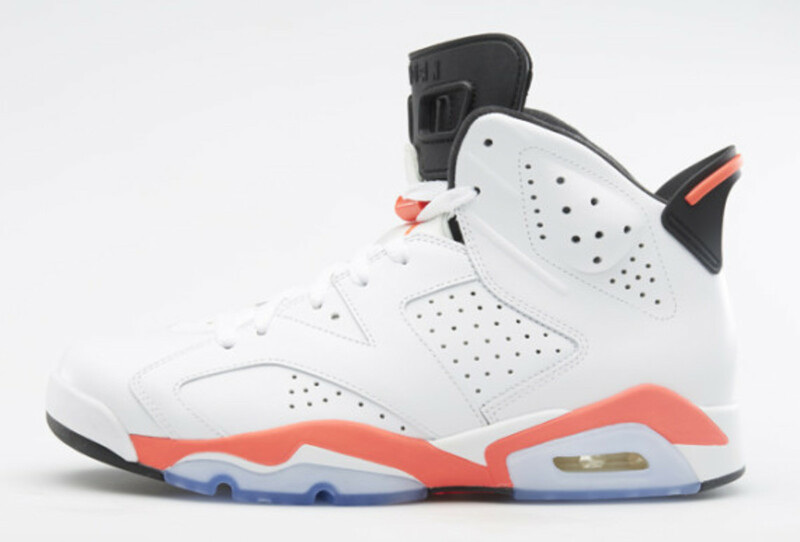 You may feel the love in the air this season, but that&apos;s probably because all of the sneakerheads are eagerly awaiting the release of the coveted Air Jordan 6 Retro in its classic White/Infrared colorway. 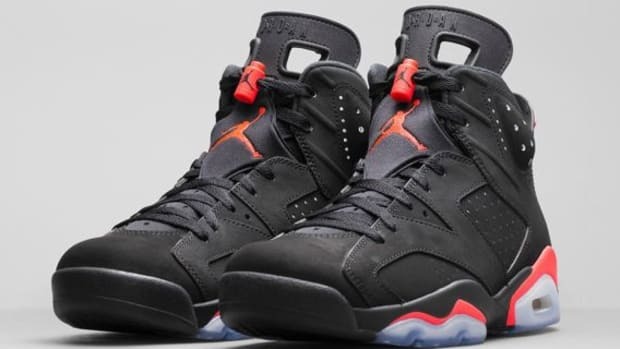 This model certainly has a lot of history behind them, originally released in 1991 and returning for its first release since the OG. 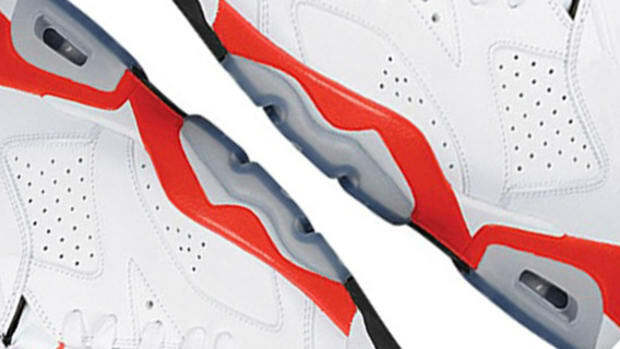 Featuring the same classic white leather upper, bright Infrared hits, and an icy outsole, you can begin to see these on store shelves this Saturday, February 15. 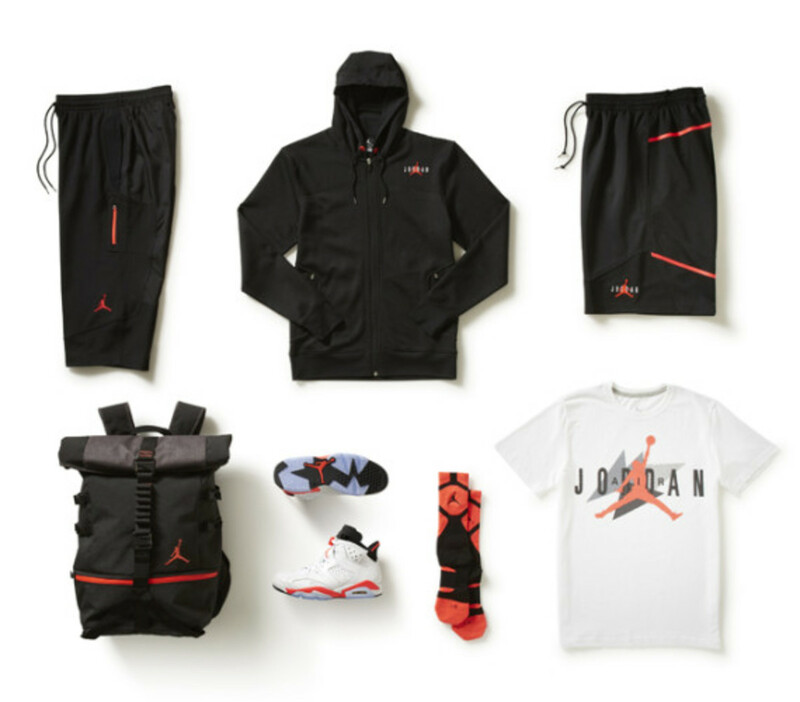 Continue after the click to see more new photos from the Jordan brand and mark your calendars so you don&apos;t miss out on this one or the matching Jordan 6 Retro-inspired apparel collection. 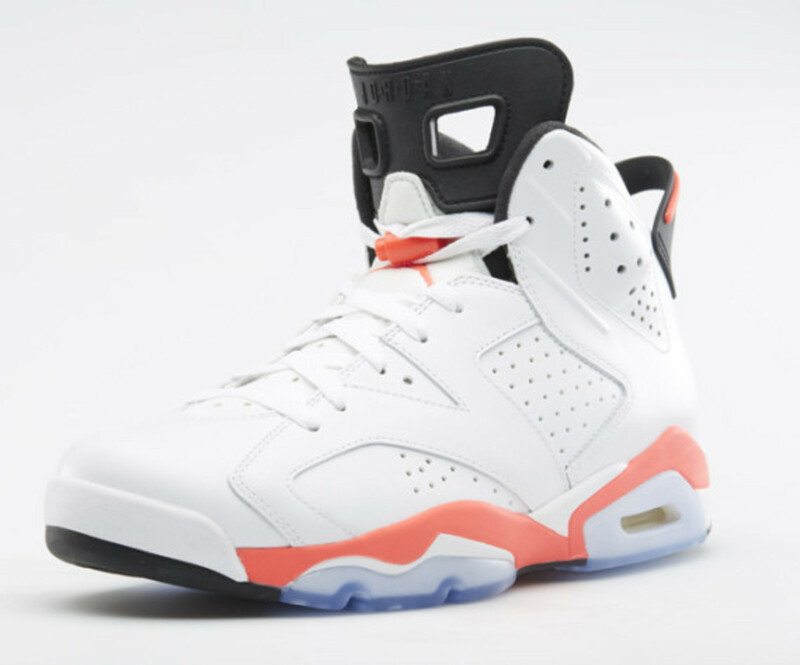 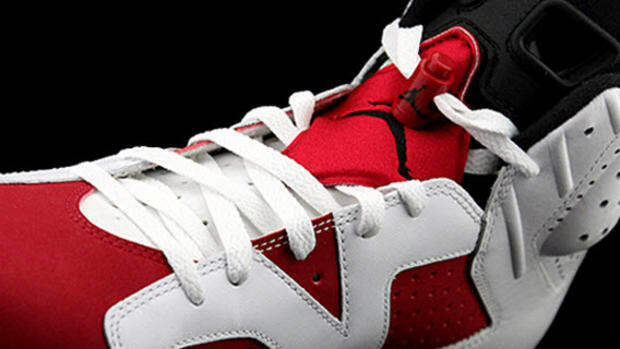 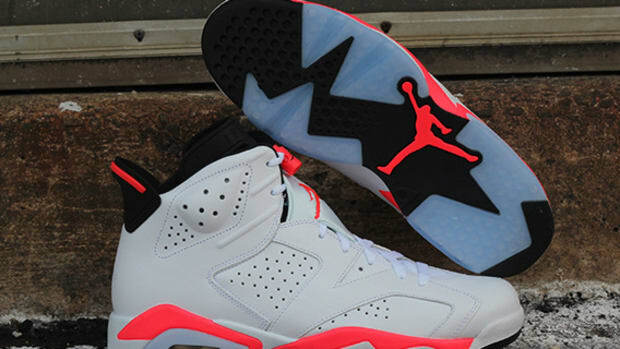 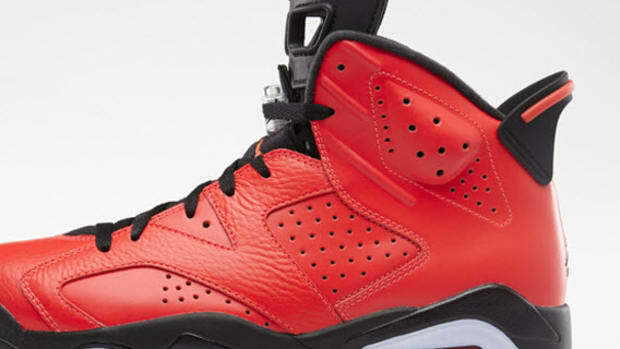 Check out the Jordan site for more information.